Video marketing is one of the best things you can put your dollars into. But where exactly do you spend those dollars? A video marketing campaign is a complex and comprehensive project on it’s own, and there are a lot of areas in which you can focus your money. Some areas are more important than others — though anywhere you put your money into a video marketing budget is likely to improve its success. Here’s where you can draw the distinction between the nice to have and the necessary. Everything begins with your production values. Your audio and visual quality are going to determine what you can do with your video — and it’s always easy to start with high quality media than it is to fix it later. 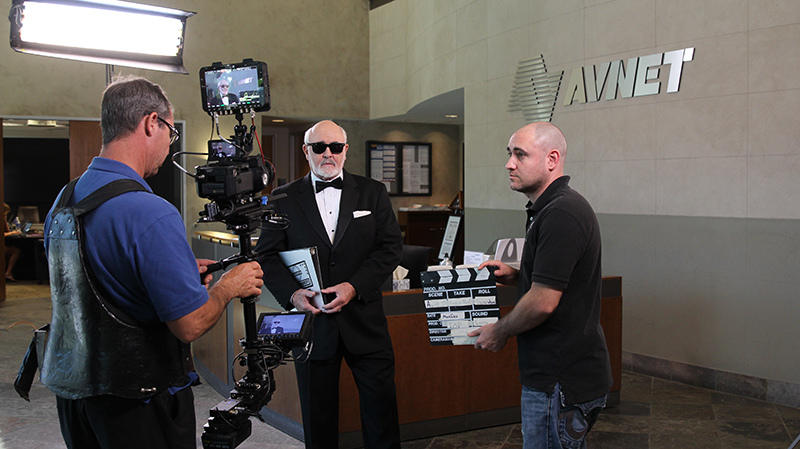 Of course, some businesses may be ill equipped to shoot professional video on their own. In these situations, hiring a professional video marketing firm is almost always the best idea. 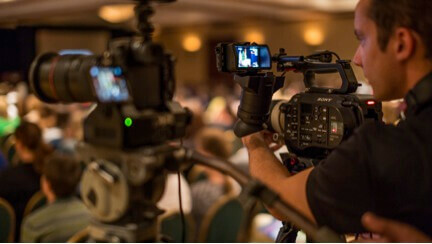 Video marketing companies are able to craft professional videos at a lower cost, due to their equipment and experience. If you do want to DIY, purchasing or renting the best equipment and video editor software is going to drastically cut down on the amount of time you need to spend on your video. Not only will it improve the quality of your current videos, but also it’s an investment in the future. A company can be signed up for a dozen or more data collection and marketing services. Today, most software is Software-as-a-Service; it’s designed to be purchased on a subscription basis. A tremendous amount of your money could be being spent on disparate data collection services, when you really only need one or two. Using data from multiple marketing and aggregation services is confusing more than anything, as each service has its own way of calculating your overall impact. What you’re really looking for, regardless, is improvement. One service may show that you have 200 hits, and another service may show you have 400 hits, but your daily change in hits is really what will tell you whether your campaign is growing. 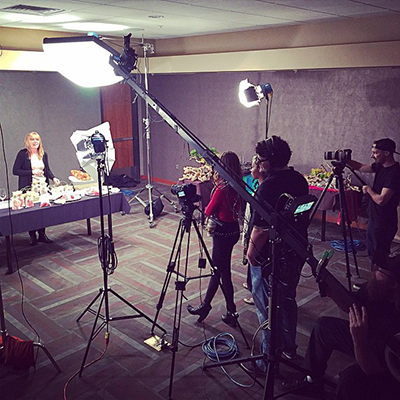 Filming events and live streams will get your audience excited. When possible, think about running promotions and engaging your audience as well. You want them ready for the content to come. Brand outreach is incredibly important, especially for a video marketing campaign that is just being launched. It can be otherwise difficult to build up momentum from nothing. By the same token, though, you don’t need to spend a lot for commercial video slots or for video distribution. For the most part — and with a few well-timed events — you should be able to launch your video marketing campaigns primarily through social media. Of course, this assumes that you’ve been taking care of your social media. As a marketer, your social media is often going to be your most important tool. From video marketing to product launches, your social media gives you immediate access to an audience that is already interested in your products and likely willing to buy. Distributing your video organically through social media should cost barely anything at all — and should be low effort on your part. As you scale upwards, your social media will scale upwards, creating campaigns that feed themselves. This is a low cost method of video distribution. Acting and writing are a great deal of what makes a video seem authentic or inauthentic. If you don’t invest in professional acting and writing talent, your videos may come off as clunky, manipulative, or insincere. Good actors and writers are able to capture your brand identity and your voice. Amateurs are going to be inconsistent, and may muddle your message. It doesn’t cost a lot to hire professional talent, especially in terms of the full cost of the production. If you’re working with a film company, they should already have the talent available or on board for you — you’ll just need to sign off on the finished product. If you’re doing it yourself, you may want to take the extra steps to find the right professionals. There is something to be said for occasionally involving the principles of your company rather than paid actors. Customer testimonials, marketing videos, and brand stories can all be done using real people rather than professional actors, and often these types of videos are best done in the individual’s own words. Thus, there are exceptions to this rule — but in general, if you’re looking to either hire actors or try to promote amateurs, hiring actors is going to be your best bet. Acting isn’t just about talent; it’s also about professionalism. A professional actor is going to be able to remember their lines and perform much more competently and consistently, thereby making production itself faster. The cost of daily production is enough that you can save money by getting a professional from the beginning. For the most part, you shouldn’t be spending a lot of your video production cost on hosting or software. Even large corporations are using completely free hosting platforms, and there are embedded marketing and data analytic systems in many of them. Though you do want to invest a little in marketing data software (as mentioned above), you don’t need to invest in a lot. Likewise, you probably don’t need to spend a lot of money on video hosting — though you certainly can if you want to. Hosting is an area in which commercial services can be extraordinarily expensive, even though free services are often just as robust. An entire industry has been created around hosting video for free, from YouTube to Facebook. There are some downsides to hosting your video on these platforms, such as the ads that some people may see. However, they are greatly outweighed by the sheer reach of these platforms. If you’re completing a comprehensive marketing campaign, it’s very likely that your video is going to be seen first on a platform like Facebook or YouTube regardless, which mitigates the need for external hosting services. Paid advertising on social media is becoming one of the most valuable forms of online marketing. 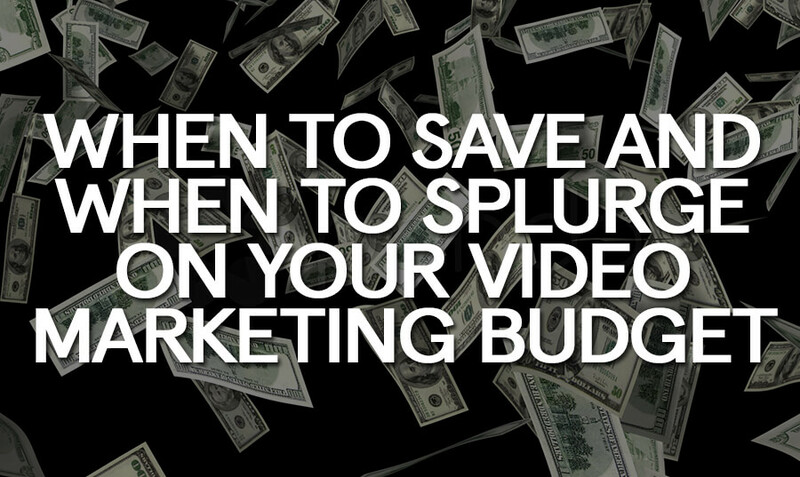 It should be at least part of your video marketing cost. When you pay for advertising on a social media platform, you are able to focus on very specific demographics. These demographics can mirror those who are already interested in your product. In fact, on platforms such as Twitter, you can target your existing audience — or you can target an audience that is like your existing audience. On Facebook, you can target people based on their hobbies, or their live events; you can select people who have anniversaries or birthdays coming up. Social media advertising tends to be on a standard, pay-per-click basis, so you don’t pay anything if your ad isn’t clicked on. Thus, it becomes up to you to ensure that the audience that clicks on your ads is the same audience who is going to be interested in committing to a purchase. 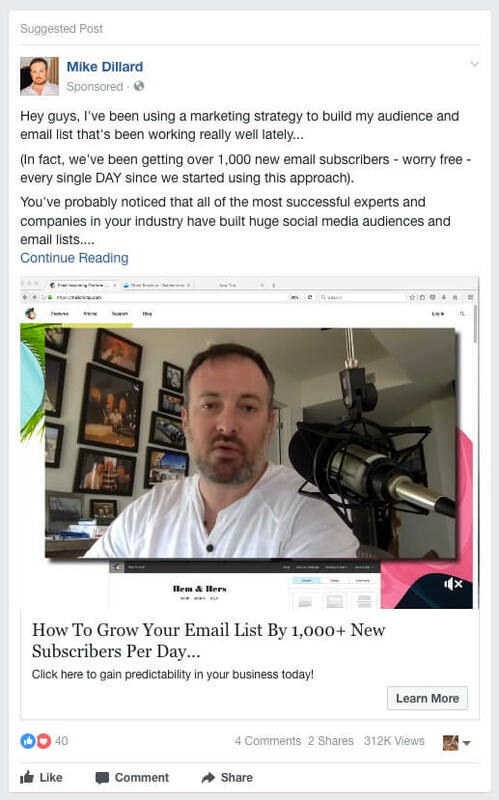 Other than this, you have a lot of freedom — and because you can create a remarkably small audience size, you can connect with the same audience multiple times. It should be noted that the way that some platforms are treating paid advertising has been changing in recent years. Facebook has made moves towards more relevant content, and is now attempting to promote advertisements primarily to individuals who already have some relationship to a company. They are also trying to promote “friend and family” posts and relevant information at a higher level than ads. This doesn’t mean that paid advertising isn’t useful; in fact, it’s the opposite. This increase towards relevancy means that commercial posts that aren’t paid are being further pushed down, which means that paid advertising has become more important than ever. PPC advertising is useful, but largely only to those who already have exceptionally large advertising campaigns. Pay-per-click advertising campaigns are traditional campaigns that are often run either through third-party advertising networks or through search engines. Though they do bring in traffic, they tend to bring in much broader traffic than social media campaigns — which means these campaigns tend to be more expensive and tend to only be effective if you’re reaching a very large audience. If you’re launching a large video marketing campaign from the start, then PPC advertising will become important. However, PPC advertising is like a spigot: it works only when you’re putting your money in. Contrast this with social media advertising, which becomes more valuable over time because it increases your follow counts and your engagement. Of course, all of these things don’t apply to all marketing campaigns. There are some campaigns that may want to spend more money on paid advertising, while there are other advertising campaigns ill-suited to launching events or live streams. You do need to adjust your strategy for your company and your product, but the above will give you a solid base on which to build.